India is a country with much of varied culture and heritage. There are different regions where the people speak different languages, have different food habits and different life styles. National Symbols of India have been chosen in view of reflecting the true culture and beliefs of the country and thus project the image of the country in the right way with positive attributes. These elements of National Identity make every Indian feel proud of his culture and heritage. These national symbols infuse a sense of patriotism in the heart of every Indian and bring positives hopes in their minds. National Flag popularly known as Tiranga or the Tricolor flag with the navy blue Dharma Chakra in the center truly arouses the spirit of patriotism in every Indian. The saffron color on the top represents the strength and courage of the country while in the middle represents peace and the bottom green represents fertility and growth. 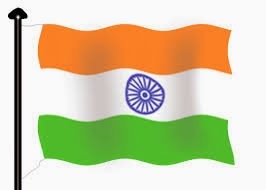 The National Flag was adopted by the Constituent Assembly of India on July 22 in 1947. The ratio of the width of the flag to its length is 2:3. As per law, the flag is made of khadi which is a special type of cloth spun by hand with cotton and silk threads. The Khadi Development and Village Industries Commission has the right to manufacture the National Flag who in turn allocate the work to the regional groups. National Tricolor Flag which is based on the Swaraj flag is designed by Pingali Venkayya who belongs to a Telugu Brahmin family and was born in Machilipatnam in the Krishna district of Andhra Pradesh. The emblem depicts four lions that stand back to back. These are mounted on an abacus with the sculptures of an elephant, a galloping horse, a bull and a lion that are separated by wheels over a bell-shaped lotus. The words 'Satyameva Jayate' are inscribed at the bottom which means 'Truth Alone Triumphs'. 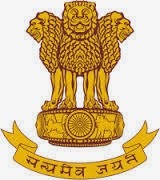 The emblem is adapted from the Sarnath Lion Capital of Ashoka. The most colorful bird that has a fan shaped crest of feathers and a brightly colored long neck which is known a Pavo cristatus in the scientific terms and commonly known as the peacock is the National Bird of India. The magnificently striped animal in yellow and black with a thick coat of fur scientifically known as the Panthera tigris and commonly known as the tiger is the National Animal of India. Till 1973, Lion which is a symbol of royalty and grace was the National Animal of India. As there was a steep fall in the tiger population due to illegal poaching, the government has launched 'Project Tiger' in April 1973 to preserve the tigers in India. As a consequence of this project tiger was made the National Animal of India. Tiger which is a combination of grace, enormous power, agility and strength gave it the status of National Animal of the country. 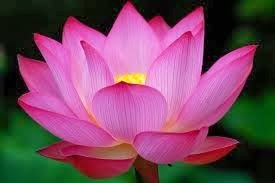 Lotus which has got the scientific name of Nelumbo nucifera is the National Flower of India. Lotus is an auspicious symbol of the Indian culture and the flower is considered sacred. It occupies a special position in the Hindu mythology as it is believed to be the seat of Goddess Mahalaksmi. 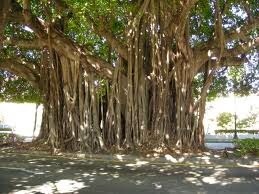 Indian fig tree commonly known as the banyan tree is the National Tree of India. Its scientific name is Ficus bengalensis and the aerial roots (epiphytes) of the tree growing from the branches spread themselves out over a large area. The plant is characterized with its longevity due to which it is considered an immortal tree and it occupies a high place in the legends and mythology. Due to its huge size and thick leaves, the tree provides great shady place for the people who take shelter under the tree during the hot summer days and keeps them cool. Holy Ganges or Ganga which is the longest river in India with its origin in the Gangotri Glacier in the Himalayas where she starts her journey in the name of River Bhagirathi. The Gangetic Plain or the Ganga river basin is one of the most fertile lands of the world. River Ganga is considered revered by the Hindus and it is considered the most sacred / Holy river on the Earth. The river occupies a special place in the legends and mythology. 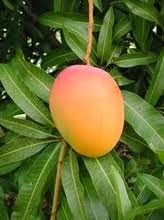 Mangifera indica popularly known as the king of the fruits and commonly known as mango is the National Fruit of India. This is a fleshy, juicy and delicious tropical fruit which is available for a very short period of time in the summer season. There are different varieties of fruits which are of different shapes and sizes as well. The fruit is rich in vitamins and minerals and is relished the most. Hockey is the National Game of India. Hockey brought much name and fame to the nation in the field of sports and games when the Indian Hockey team was successful in achieving six consecutive gold medals to the country in the International Olympic Games during the periods from 1928 to 1956. The legendary Dhyan Chand and Dhanraj Pillai are the noted personalities of the game. Unfortunately, the game is losing its importance due to the much craze for the cricket matches in the recent years. The calendar that is based on the Saka Era with Chaitra as the first month is adopted as the National calendar of the country. The Indians (Hindus) follow this calendar for the celebrations of various religious and social festivals and for other rituals. However, the Gregorian calendar is used for the official purpose.